JoJo. So this is Casey's cousin, JoJo. First picture I made of her! She was ment to be dark blue, but her pelz wouldn't really fit her hair's color skeem, and I didn't want to change the hair. XP. 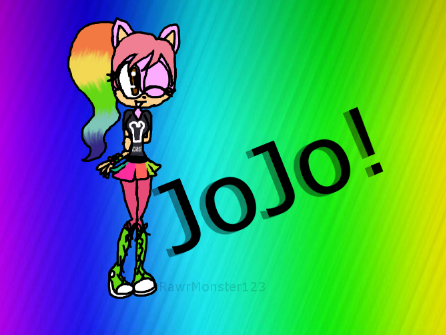 Wallpaper and background images in the Sonic Fan Characters club tagged: jojo.